The most common shape is the parejo, sometimes referred to as simply “coronas”, which have traditionally been the benchmark against which all other cigar formats are measured. They have a cylindrical body, straight sides, one end open, and a round tobacco-leaf “cap” on the other end which must be sliced off, have a V-shaped notch made in it with a special cutter, or punched through before smoking. 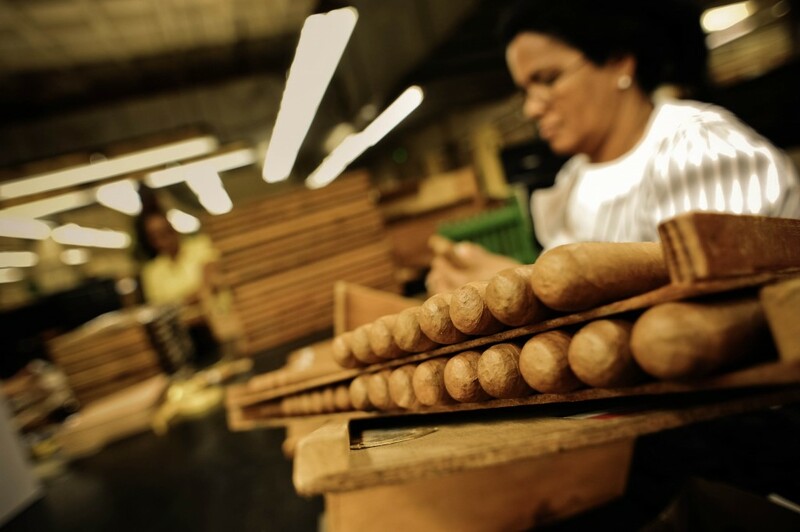 Irregularly shaped cigars are known as figurados and are sometimes considered of higher quality because they are more difficult to make. Historically, especially during the 19th century, figurados were the most popular shapes; however, by the 1930s they had fallen out of fashion and all but disappeared. 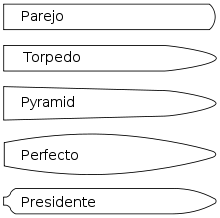 They have, however, recently received a small resurgence in popularity, and there are currently many brands (manufacturers) that produce figurados alongside the simpler parejos.